Unusual and delicious! Interesting and getting used to. As already mentioned it is very interesting to try a virgin fire without a barrel contact. 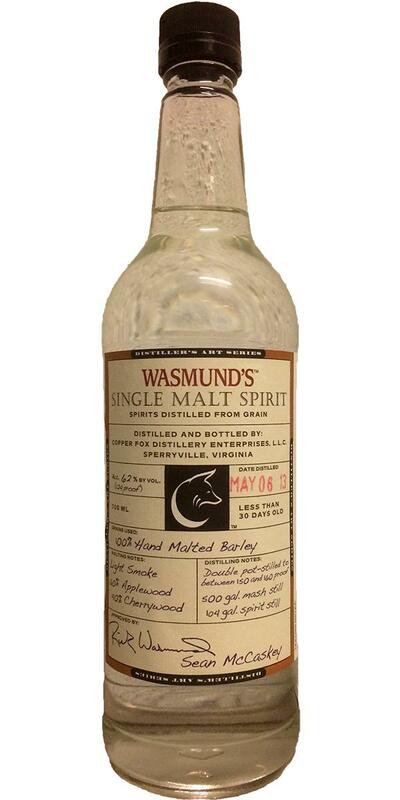 Malt and cereals dominate the nose and taste, slightly bitter and bitter notes follow. Immediately rise the 62% alcohol content in the nose and tickle the nose properly. Intensive malt and grain aromas follow the decaying alcohol, subtle apple flavor and a hint of vanilla dissolve from the malty cereal note. Slowly, a mild and unfamiliar flavor sets in, it is very interesting to try a virgin brand without barrel contact. Even at the first sip, malty cereal notes dominate until after a few seconds the alcohol is noticeable. The second sip of oily malt flavors flow through the palate, toasted cereal lays on the tongue. Slowly, bitter and slightly bitter aromas dissolve from the previously slightly sweet grain note. The aftertaste is also dominated by bitter and slightly bitter cereal flavors. Here and there flare fruit flavors, light walnut aroma ends in dry and slightly burnt cereals. And perhaps most importantly - Age: less than 30 days oldN: Fruity Rampur-esque nail varnish. T: Wacky, medicinal Balcones Brimstone. F: Herbal (oregano), almost gin liqueur. 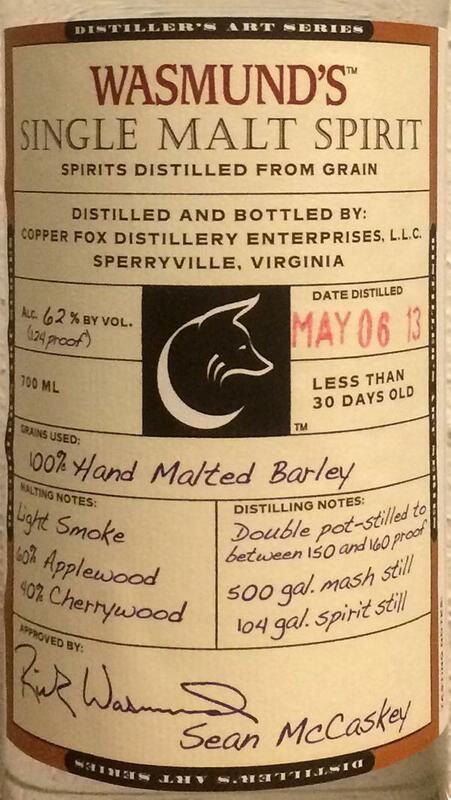 I bought this with the small wooden cask for self-maturation, but had to try a little of this 30 days old spirit. Very good education. It helps to understand distillery character, and wood influence. This is an invaluable part of my whisk(e)y-journey. No rating from me, because it is not whiskey. w/o water - strange soury note: baby vomit? Juniper berry. unripe apples; sweet and sour. Yeasty. w/ water the same but sharper. w/o water - alcohol arrival. Sweet on the tongue. Fiery and sour. w, water - alcohol arrival. soury attack on the tongue. Sharp!